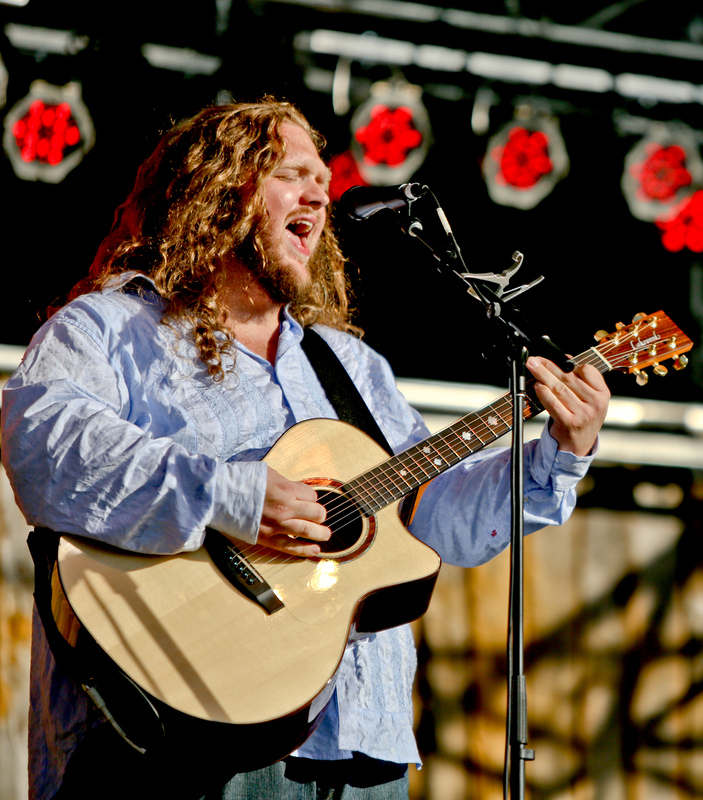 From his humble beginnings in Perth-Andover, to selling out Toronto’s Massey Hall last month, Matt Andersen’s career has travelled a long and winding road to success. From the time he was a small child, music has been an integral part of his life. Both his grandfather and his mother were musicians (playing the fiddle and piano, respectively), which no doubt served as inspiration for Matt who would first pick up the guitar at age 14. He discovered blues music as a teen, further delving into the genre around the time that he graduated high school. Struck by the honesty and spontaneous nature of the blues genre, Matt had found his calling. From his 2002 debut record through to his most recent effort, Weightless, Matt’s music is drawn from the blues but with generous doses of folk music thrown in for good measure. In much the same way that the music of Johnny Cash appealed to such diverse groups of people, Matt’s music draws a diverse audiences. His lyrics are earthy while his guitar work and showmanship captivate all those who see the musician play live. Over the last 12 years, Matt has maintained a rigorous tour schedule, including playing more than 200 shows in 2012 alone. This commitment to sharing his music with as many folks as possible has afforded him the opportunity to share the stage with a host of musical legends including Bo Diddley, Robert Plant and Randy Bachman. Last year, Matt was awarded the 2013 Euro Blues Award for Best Solo/Acoustic Act. That award was the latest in a long line of achievements, including winning three Maple Blues Awards in 2012. In 2010, Matt became the first Canadian to win the renowned International Blues Challenge. The Memphis-based competition helped Andersen score a number of dates throughout Europe as well as the United States. And Matt selling out Toronto’s famed Massey Hall was no fluke. Released this past February, Weightless is a natural musical evolution in Matt’s catalogue. Not only does the record reflect the growth that Matt has made as a songwriter, he called upon a bevy of talented friends to help him make one of his most definitive musical statements. Joel Plaskett, David Myles, Thom Swift, Dave Gunning and Tom Wilson are just some of the people that Matt sought out to help him craft the songs on Weightless. Matt says he welcomes the input and energy that each artist brings to the song. With more than a half-dozen albums to his credit, Weightlessrepresents a different kind of evolution of Matt’s career: The album has been released worldwide via influential Canadian indie label True North Records, home to acclaimed songwriter Bruce Cockburn and others. Joining a label where everyone from the head honcho down to the janitor have a deep love of music was a good fit for Matt. “My manager and I had put some feelers out there in terms of labels and after having some conversations with them, it seemed as though it was the best place to bring my music. “Their roster is just incredible but perhaps even more importantly, they are in the music business for the right reasons. You stand to become a number at larger record labels but with True North, they value the music and all that goes into bringing the music to people all over the world,” Matt says. Once Matt wraps up his run of sold-out shows in the Maritimes, he heads to the United States for approximately 20 shows running through mid-May. Matt then returns to Canada for a brief Ontario tour before embarking on another run of American shows.